Today I had my first in-person sit-down interview with Hewlett-Packard CEO Meg Whitman. Over the course of 30 minutes we talked about a lot of things, and quite frankly she had a lot to say. For one thing: Once the legal trial with Oracle is concluded, one way or the other, she’d like to see HP and Oracle work together again, even though she conceded that the damage done to HP’s Business Critical Server business is hurting HP. She also said that HP will create a version of HP-UX, its version of Unix that will run on Intel’s mainstream server chip known as Xeon. For another, she will not accept a job in a Mitt Romney White House in the event one might be offered. To do so would be to leave HP too soon at a moment when, more than anything, it needs consistent leadership. Additionally, she doesn’t see a scenario where HP would spin off any piece of its operations, because in her mind they all fit together. Below is a transcript of our conversation in its entirety. And while I realize it’s a long read, I thought it was important to let Whitman address every question I had for her completely. As you will see, we covered a lot of territory, because, well, there’s just so much territory to cover. AllThingsD: Today’s message was long on what HP is about and less about specifics. There was the new marketing slogan “Make it Matter.” Hearkening back to your days running consumer branding for Procter and Gamble, can you walk me through what you think the new message means? 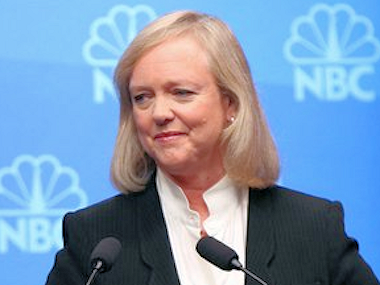 Whitman: When I came to HP, I was remarkably impressed with the assets that it has, and the people who are here. The crown jewel of the company is its people — it’s remarkable — and what they have lived through would have created far more disruption at other companies. As I began to understand HP, I said that it hasn’t been very good at telling its own story. Every CIO I talked to today — and I have a room full of 160 CIOs over there — when they walked through the showroom floor after today’s keynote, said they had no idea as to the breadth and depth of everything that HP does. And these are our best customers and they did not know. So I thought we needed to tell our story better. And when you start a marketing campaign, you always start with the authentic truth about the company because you have to be able to say something that no one else can say and that’s authentic about the company. So we got the 50 marketing executives in a room and started to think through what is unique and different about the company and we came very quickly to “Make it Matter.” Because in fact what we do makes it matter. It matters to the International Space Station or the Department of Works and Pensions or the U.S. Navy or Alianz or Deutsche Bank or Facebook. It matters what we do. Our people take great pride in that. And it’s also true that HP will do anything for its customers. If you get into trouble, we will darken the skies. That seemed to be the authentic thing that we could say. And how will we be seeing this message in HP marketing? All the business units will tuck under that messaging. So you will see it around PCs and printers, and in servers and storage and networking, in the storage business. Sometimes it will be digital, sometimes it will be print, sometimes in social media, sometimes on TV. Corporate wide, everyone will tuck under that message. Does the HP brand need major rehabilitation and repair or more of a polishing? I think we need to tell people what we do, so I think that’s more of a polishing, to tell people what we do. In my view we just need to tell people who we are, what we do and the value that we bring. And I think the other thing about HP is that this is not about the network or the database. It’s about our customer. This is something that I bring to HP, because I’m not an enterprise salesperson. At eBay I was a customer, and so, I think we can be completely differentiated by saying it’s not our agenda, but your agenda. And I think that’s very authentic to HP. Let’s talk about the restructuring process that you announced during the last earnings call. You said on CNBC the next day that you thought the restructuring process was by that point about 10 to 15 percent complete. You announced that you’re going to cut about 27,000 jobs, so then I wonder what you think is the next big step in that process? What’s the next big hurdle that gets you to, say, 20 or 25 percent complete? I would say this is a journey of decisions that need to be made and of strategies that need to be laid out. If you go back to when I took over, I made the decision about the PC business, I made the decision about WebOS. I recognized that we needed a strategic realignment to remove complexity from the business, so I combined PCs and printing under Todd Bradley, moved the Global Accounts sales force to Dave Donatelli, combined our sales organizations — we had two huge sales organizations under John Hinshaw — and then unified marketing and communications, all with the objective of making it easier to sell, easier to buy from us, and easier to get work done at HP. Then we all recognized that we needed to have the financial capacity to invest in the business. The way we were headed it was not going to happen, it was unsustainable. And we have a cost structure that we can no longer afford, so we took the very tough step of addressing how we can do things more effectively. And it’s never easy to reduce the workforce by 27,000 because it disrupts peoples lives. But in my view we couldn’t afford to wait to make the needed investments to set HP up for the next five years. Is cutting 8 percent enough? Some thought the cut wasn’t large enough. I think it’s about the right size. You never know for sure, but we’re taking the very best analysis that we can. I will say something about HP: When this company set its mind to something it brings to bear deep analytics, and so when you know what you’re doing you know why because they just get after it in a very deep analytical way. When we weighed the PC spinoff, we spent 30 days on it, and it was like, ‘alrighty, then.’ And this was the same in many ways. Once we knew, we decided to go forward thoughtfully. So we’re also tacking cost structures around supply chain and SKU reduction, and simplifying the overall organizations. So I think you’ll see us execute against this for awhile. We’ve got to deliver the savings, we’ve got to restructure some of our business processes and we’ve got to make it easier to do business with us. So now we’ve got a strategy, we’ve got the mechanism. Now we’ve got to execute. Execution is a word I often hear described as a specialty of yours. What do you do to get people to execute? I think you get results from what you measure, so what I measure is really important. At a company this big you have to have a cadence around that measurement and around the dialogue with your business units. It starts with my executive team. And I think I have the right people on the right jobs at the right time. And now it’s a matter of holding ourselves accountable. And that doesn’t mean there won’t be challenges and problems, but once you’ve identified the problems and a way to fix them you have to measure the progress. This was something I learned very early and was a hallmark of how I ran eBay and how I think I did well at P&G and Disney. But at the same time, you have to identify the pockets of creativity and where to invest, and that’s just as important as how you capture value. Once you save all that money the question is what do you do with it? We better make sure we put it in initiatives that have a high return on invested capital. You can’t do everything, and you can’t give everyone a little. You have to give a small number of people a lot. So, about the investments you’re going to make. You talk often about a renewed focus on services. This question comes from a former HP employee. You said today in your keynote remarks that about 70 percent of HP’s sales come from infrastructure or what I would call hardware. And yet you talk often about services. Given those two choices, which do you think is more likely to save HP? Selling more boxes and things or selling more services? Let me reframe it for you. It’s about optimizing our existing set of businesses to perform as best as they possibly can. They’re not. Revenues are down 7 percent and earnings are down 21 percent year on year so we have to get our core businesses, all of them, optimized and functioning really well. And then we have to position ourselves to take advantage of the bigger changes in the technology industry. I’m a big believer in focus. So as we thought about the pan-HP initiatives we might have picked, we went with cloud, security and information optimization. There were others we might have picked. But I thought about what we do well, what we already have, and what we can deploy against some of these bigger shifts in the industry. 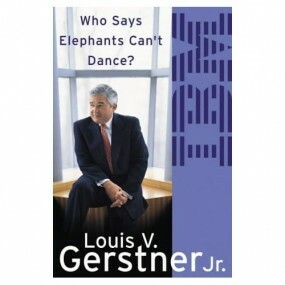 So on focus — I’m wondering about the similarities and differences of what IBM went through. It spun off several things like PCs and printing and hard drives. And yes, the circumstances are very different and yet there’s some thematic similarities. When the PSG spinoff idea was floated, it was immediately compared to IBM. Do you envision getting rid of any peice of HP or do you plan to keep the whole thing? Are there some peices that are not core? No. As I see it, everything stays. Each of the pieces fit together. They are very big and significant businesses in their own right. The PC business is at $40 billion and number one in the world. Not long on operating margins but because of the way its engineered, it has almost an infinite return on invested capital. You gotta love that business. Let’s talk about two messy pieces of business, if you don’t mind. First is Autonomy. It’s the one thing that’s still lingering from all the announcements of last Aug. 18. The former CEO Mike Lynch is leaving HP. You’ve said that company delivered some disappointing results. What happened there and what does success at Autonomy look like in your mind? In my view, this is the classic case of scaling a business from start-up to grownup. Going through that barrier of a billion dollars in sales is not easy because you can’t run the organization at $1.5 billion the same way you did at $500 million. You just can’t. And for many entrepreneurs, processes and discipline are dirty words, and you have to have those things, especially within the context of HP. I know exactly how this world [works]. My view was that we needed to make a change to someone who can take Autonomy to the next level. I have every confidence that Autonomy will be a very big and very profitable business. It’s taking advantage of a big shift in the industry toward big data and unstructured data. But we needed different leadership to age Autonomy, and by that I mean age it kind of like wine. And so you added Autonomy to Bill Veghte’s responsibilities. Yes, it’s going to be Bill for now and ultimately it may end up back in the software business, but I need full-scale attention on this by someone who has a lot of experience. We’ll figure out later if its permanent or not, but right now he’s the guy. What does success look like at Autonomy? I think it needs to grow rapidly. I think this is a very rapidly growing market. We need to continue to lead it. The good news is that I don’t see a competitve disruptor in the marketplace. So I think we have a good opportunity. But I also want to make sure that it gets integrated into the rest of HP in a good way. So we’ve started adding Autonomy into document workflow in our printers. And I want to think through all the different ways that Autonomy can be useful to the rest of HP, and we’re just starting to think about that. The problem I think you said was that there was some difficulty closing deals at Autonomy that HP had teed up? It’s classic. HP fed Autonomy a huge number of deals. But Autonomy didn’t have a system for accepting those deals, and closing them. And understand, when you’re working with big companies, there’s processes. When you sell with Enterprise services, there are steps you need to go through. When you sell with Dave Donatelli, there are some steps you need to go through. So that was the biggest challenge. So the other messy piece of business is the dispute with Oracle over Itanium. Larry Ellison said at D: All Things Digital last week that he likes you, yet your companies are in an ugly legal fight right now. I asked Dave Donatelli yesterday if he thought that HP can reverse the downward sales trend in the Business Critical Server business. He seemed to think it’s possible and that winning the lawsuit will make it easier. But it’s hard to look at the declines in BCS sales and wonder if you can reverse the trends even if you win. What do you think? That was nice of Larry. There’s no question that the BCS business has been hurt by this. You can see it in the results. It was growing by 10 percent before Oracle refused to port and now its declining by between 20 and 30 percent a year. This has been very tough for HP and very tough for Dave Donatelli’s business. In the end, if we win the lawsuit we will continue to protect our customers interests. The reason we went to the mat with Oracle on this was because we have a lot of customers on Oracle Itanium who do not want to switch, do not want to get off of HP Unix and on to something else. And they kinda like what they have and they’d like to stick with it. I think either way, Dave’s got in the works the next generation of Business Critical Servers on a more open platform. It’s called Odyssey, which is pretty cool. Ultimately we’ve got to build Unix on a Xeon chip, and so we will do that. I don’t have a lot of animus toward Oracle, and historically ours has been one of the great partnerships in IT history. I have a lot of respect for Oracle and when we’re through this court trial I would like to see us work together again. Has anyone sought to call Ellison or Safra Catz and try to sort it out? There has been a lot of back and forth, some of it before I came on board. It’s a very rapidly changing industry. I’d like to believe that once we get this behind us we can work together again. You don’t think the damage to BCS is permanent? It’s not been a good thing for the business. Let’s be very clear about that. This has not been good for HP. In the end it’s all about our customers, and it’s not been good for them. Let’s talk again about SKU reduction, which is a favorite subject of mine. How might it become apparent to customers? What does it mean to you? Reducing complexity, improving quality, reducing inventory, and better meeting customer needs. Somehow this company got into the habit of adding more and more options for more and more people, which on the surface is good, but when you examine the law of unintended consequences it’s not good for the company and it’s not good for the customers. The more platforms you develop to, the more SKUs you have, the more complicated it is, and there’s a higher chance of quality problems slipping in. And so everyone in the company is in agreement with this part of the strategy. I think you will see a smaller number of products tailored to specific market segments where we can get real supply chain leverage, real inventory leverage and real parts leverage. You forget about all the spare parts we have to carry on the inventory. I think this is a big part about how we deliver better quality at lower cost and deliver real benefits to customers. You’ve been on the job eight months. No one really brings up the question of succession, you have deep management bench, but — knock on wood — if you get hit by a bus tomorrow, who’s in charge? The board takes this sort of thing very seriously. We have a succession plan in place for all my senior execs, including me. I’m not going to give you any details about it, but that was a good try. Mitt Romney has said that he thinks you should have been elected Governor of California, and so the fact that he’s talking about you makes me wonder, if he wins in November, if you might find yourself offered a job in a Romney White House. He might call me, but categorically I would not accept. This is a decision I had to make before accepting the job to run HP. You can’t land at a company like HP, that has gone through what it has gone through, and think that you’re only going to stay 18 months. Even if he offered you a spot on the as his vice-presidential running mate? Not that anyone is talking about that. Categorically no. HP needs consistent leadership more than anything else. And my view I will stay as long as the board would like me to stay. It would be completely the wrong thing to do to leave HP right now. And by the way? I love it.